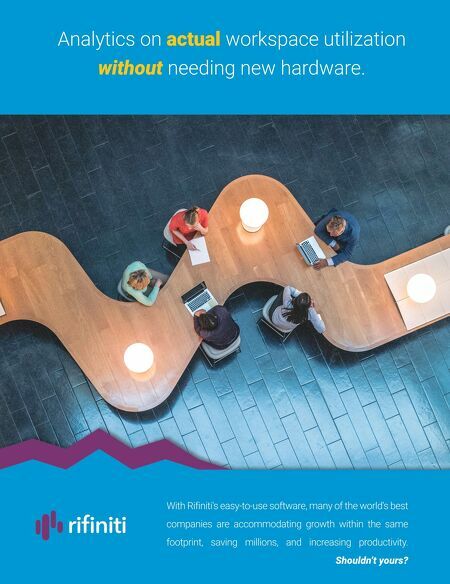 With Rifiniti's easy-to-use software, many of the world's best companies are accommodating growth within the same footprint, saving millions, and increasing productivity. Shouldn't yours? Analytics on actual workspace utilization without needing new hardware.